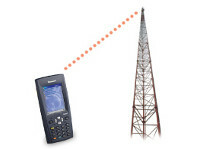 The Intermec hands-free data collection solution provides integrated speech recognition for Intermec mobile computers. Designed for manufacturers, distributors and retailers, the solution increases productivity by enabling handsfree operation without sacrificing the accuracy provided by scanning. Unlike traditional voice solutions, Intermec’s solution is more affordable and protects investment in existing terminal emulation solutions. 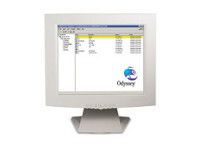 Emulation continues to be the most popular method for warehouse and manufacturing users to connect Intermec mobile computers with other IT systems. With Intermec TE 2000/Speech, speech is another data collection option for your emulation applications. This means that you can easily incorporate speech into an existing system instead of replacing it with a specialized speech system for a cost-effective way to have the benefits of hands-free data collection. Hands-free solutions have a proven ROI, but in the past, voice-directed data collection solutions were costly. With Intermec TE 2000/Speech, it is now affordable to go hands-free anywhere in the warehouse or on the manufacturing floor. Leverage existing software to get the productivity benefits of a hands-free solution without an expensive development project to rip and replace existing software. 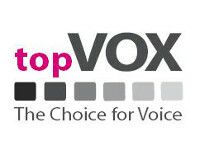 There is no need for a separate bolt-on voice server to manage voice templates, reducing hardware costs and eliminating IT administrative costs. Intermec TE 2000/Speech uses speaker independent speech recognition. This means that a user can interact with the system immediately without taking time to train the software to recognize their voice – no voice templates are required. No administrative time is required to show users how to train the system or manage voice templates. In distribution centers with high employee turnover, this saves time. Intermec’s hands-free data collection solution is based on rugged Intermec mobile computers, proven to withstand the demands of industrial environments. Speech, barcode scanning, keyboard entry, and RFID are supported on one standard hardware platform so you can experience the benefits of each technology. Intermec’s solution provides the exceptional accuracy of scanning technology, and the hands-free efficiency of speech recognition so you have the flexibility to mix and match data collection methods to fit your environment. Intermec TE 2000 / Speech speaks to the user via human sounding speech synthesis, providing easy listening for an entire shift. Intermec’s solution can help you squeeze additional productivity out of existing systems. Speech technology can be used in noisy industrial environments. Additional Speech accessories such as holsters. SmartSystems™ device management for easy system configuration, deployment and support. 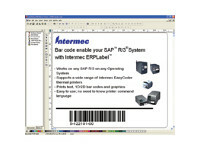 Cisco CCX certified – your guarantee that Intermec mobile computers are compatible with Cisco wireless networks.